We are a small team at our family run yard on the Wirral, we are dedicated to producing top class horses and ponies. We specialise in both Working Hunter and Mountain & Moorland. We are situated on the Wirral between Chester and Liverpool. At our family yard we have 17 stables, Monarch Horse Walker, new Floodlit All Weather Arena, Wash room, year-round individual turnout, and 24-hour supervision. At our family run yard on the Wirral, we are friendly producers of top class working hunter ponies and horses. All of the horses here on the yard are treated with the best care and the one-to-one time they need. 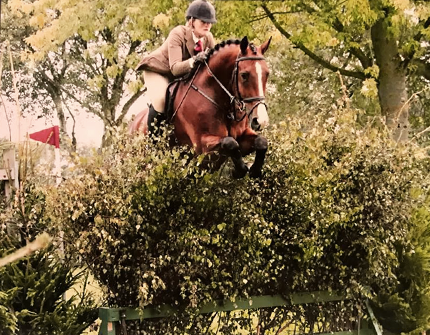 We believe it is important for our horses to live a varied life, alongside competing we also go cross country schooling, and show jumping and arena eventing on a regular basis. Our team of horses live a relaxed life, we think it is very important that the yard is a quiet and calm place to ensure the horses are settled at all times. With year-round, individual turnout our horses are able to unwind in the field everyday and they are exercised up to 5 times a week. We offer a breaking and schooling service where your horse will be professionally schooled and have a good start to their education. We are also able to take horses and ponies for sale preparation. Throughout the years we have earned the famous blue sash at the Royal International Horse Show 4 times, and taken the winners rosette at the Horse of the Year Show twice. 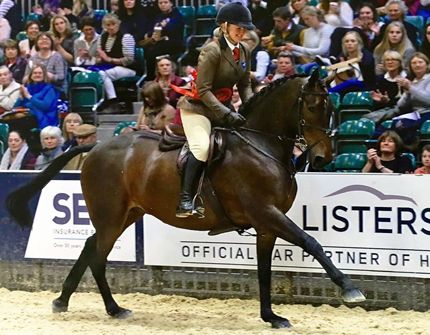 We have won the Noble Bing Supreme twice, crowned the Champion WHP at the RDS Dublin Horse Show in 2011 and 2015, and Callum and Alice have both represented the English team for a number of years. We believe that it is our hard work, and calm approach that has allowed us to be so successful and also have fun along the way.